For this update we have revisited the audio engine and managed to improve overall sound quality of the oscillators and filters, without losing their cutting edge. We’ve also further optimized the code, so that it’s still as lean on the CPU as it was before! Optional oversampling for realtime playback and offline render modes have been added to the Settings file. A swing knob was added to the arpeggiator, a new skin by Scott Kane was included and several new presets were added, as well as many other improvements and bug fixes. This version is also fully compatible with Retina displays! Improved oscillator sound quality (improved high frequency content, reduced aliasing). Improved filter response and sound quality. Added oversampling options for realtime playback and render mode. Added master tuning frequency adjustment. Added Nitro skin by Scott Kane. Improved host automation for buttons and option controls. Fixes compatibility issue on Linux. Fixes high memory bug in 32bit version. Added midi learn autoswitch control option. Added 156 new presets to FactoryBank6. Fixes offline installation bug on Windows. Fixes problem with installation through script on Mac. Added parameter highlighting for AAX version. Added AAX page tables for Avid control surfaces. Now fully compatible with Retina displays. Added option to link AmpEnv A and B parameters. Added locking options for all parameters and parts. This update is free for all customers and is fully compatible with any older version of Sylenth1. This release fixes several important issues and has a faster loading time. Also included is a great looking skin by Scott Kane! Fixes no sound issue when run in Akai VIP in Cubase. Fixes Arpeggiator host tempo sync problem. Fixes file permissions issue on Mac. Fixes issues when installed for all users. NtProtectVirtualMemory bug (on Windows) fixed. Crashes and hangs while loading certain projects on Windows 7 fixed. Fixes popup-menu disappearing issue when running bridged. Improved mouse drag sensitivity when holding Shift key. Added option in settings file to display Cutoff values in Hz. Fixes audible click when Phaser is turned off before key is released. Fixes slider image resizing bug. New skin added: Scott-Kane Dark. To celebrate that Sylenth1 can now be used in the new Propellerhead Reason 9.5 version, Nucleus SoundLab crafted a specialized bank of 128 Combinator patches that use Sylenth1 in concert with other stock Reason devices. The song in the video is created by Adam Fielding and uses only patches from this bank. You can listen to a demo for some of the presets below. The best part is that the entire bank of 128 Combinator patches and 181 Sylenth1 presets is completely free for all Sylenth1 users! You can download it from the user account section. 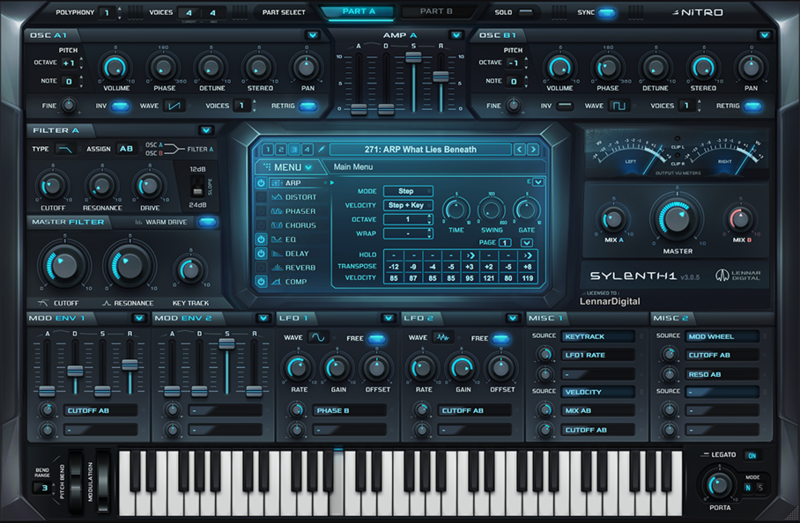 Sylenth1 Version 3.030 Available Now! 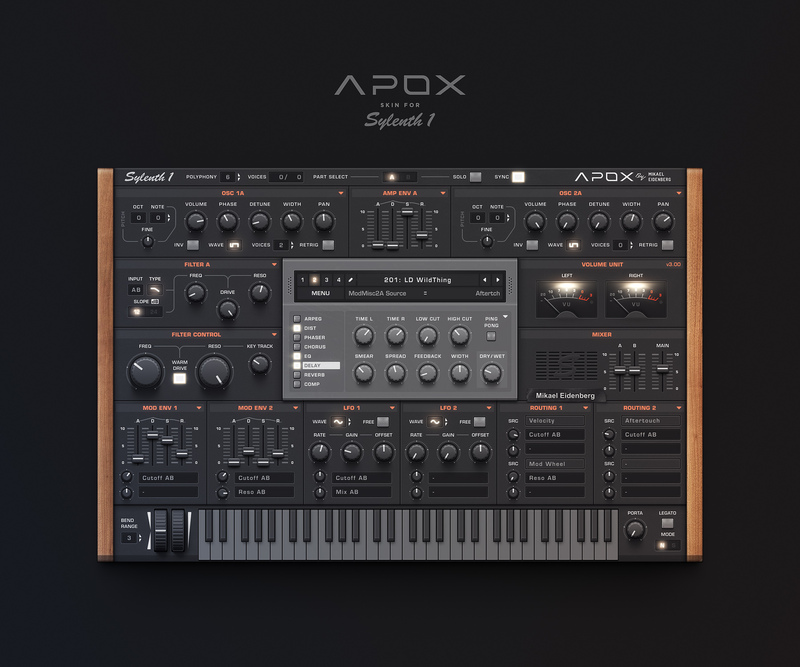 This is the official Sylenth1 v3.0 release, and includes Pro Tools AAX versions for macOS and Windows! Also, this release comes with two stunning new skins by Mikael Eidenberg, a special soundbank created by well-known producers (see item below) and many new presets! 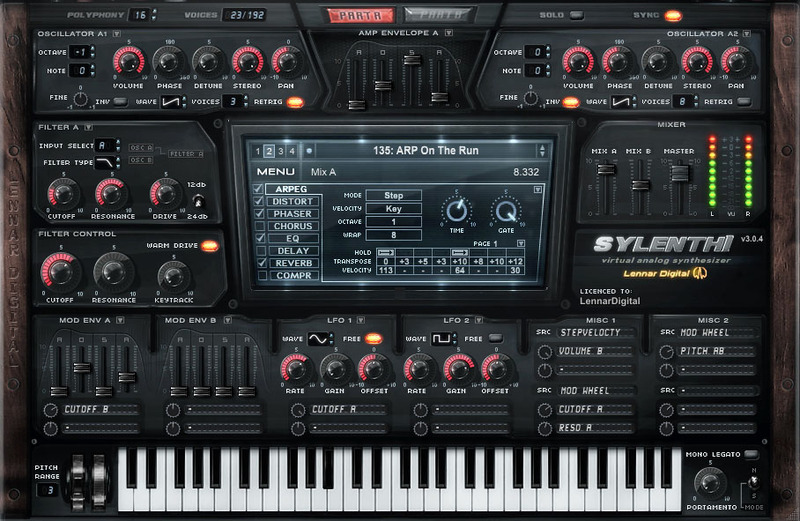 Includes VST, AU and AAX, all in 32 and 64-bit for Mac and Windows. 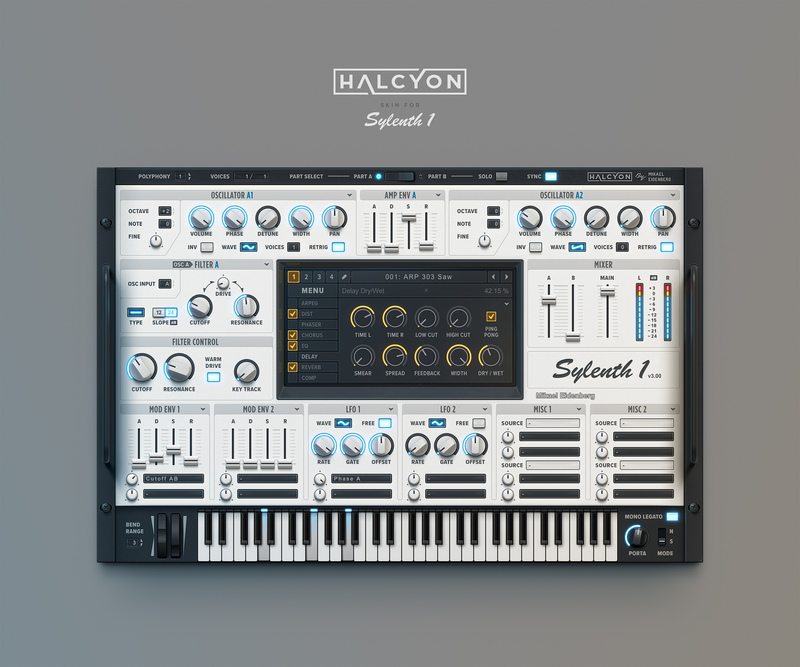 Added two new skins by Mikael Eidenberg: Apox and Halcyon. Added artists soundbank containing 512 presets by well-known producers. 407 presets by Qindek, Thomas Grahl, Benjamin Insole (FactoryBank 4 & 6). Mousewheel behaviour on macOS fixed. FL Studio keyboard/hanging notes bug fixed. 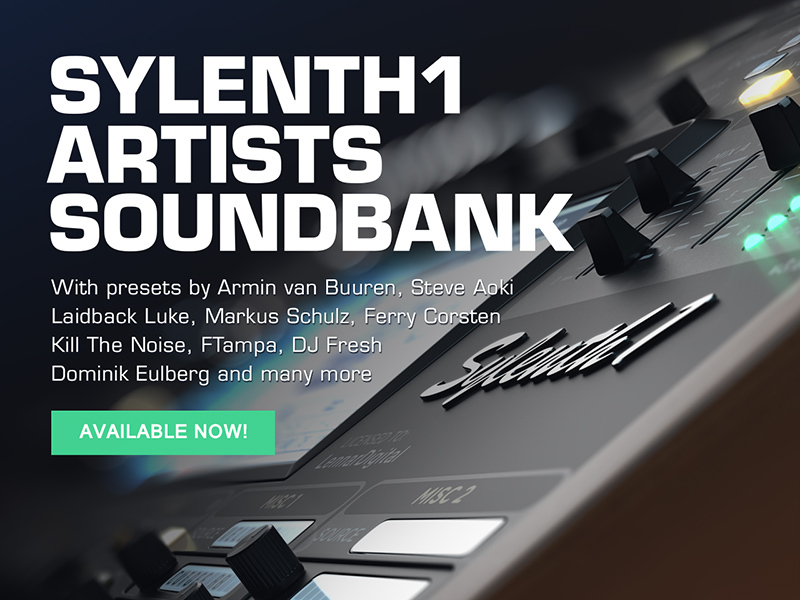 This update is free for all Sylenth1 customers. Armin van Buuren, Steve Aoki, Laidback Luke, Markus Schulz, Ferry Corsten, Kill The Noise, Ftampa, DJ Fresh, Dominik Eulberg, Korsakoff, Art Of Fighters, Jordy Dazz, Matt Laws, Tocadisco, Sean Tyas, Darude, Varien, Benno de Goeij, 7Skies, Egbert, Bart Claessen, Catscan, Conjure One, Airbase and DJ Accelarator. A big thanks goes out to all of them who made this possible! Although still in beta, the new native 64bit AU and VST versions seem to be stable and ready to release. We decided our customers should no longer have to wait, so it’s available now! This version will work in all 64bit hosts, such as Logic Pro X, Ableton Live and Cubase. No additional bit-bridges such as 32Lives or jBridgeM are required anymore! Existing customers can download this version via MENU → "Check for updates” in Sylenth1. We are still working on the new Windows version, which will be ready soon! First of all, a happy new year to everyone! Recently a new third party soundset for Sylenth1 was released by Adam Van Baker, demonstrating great sounddesign and showing off the capabilities of this synth. Listen here for a quick preview. For all of you who haven't noticed yet, more third party presets can be found in the links section. One you definitely shouldn't miss is the soundset by Arksun Sound, which was rewarded with an amazing 10 out of 10 in Computer Music Magazine! Listen to the demo here. Above previews are 100% Sylenth1 (including drums). No external processing was applied.